Since 2000 SZANSA has been developing IT solutions for the rapidly growing Polish market. What started as a firm that took care of IT hardware maintenance of architectural companies, quickly developed into the only Polish Authorized Distributor of ZWCAD.SZANSA distributes ZWCAD in Poland and we have also been hard at work to create ZWCAD add-ons that help users in their daily work. Our offer ranges from nesting elements to traffic management. Application is engine to manipulate library of blocks and drawing.Helps users to control own libraries of blocks, and insert favorites blocks. CADelement is an ONLINE parametric generator of CAD elements for LISP® software. Generated programs can be used FREE of charge in all CAD platforms: AutoCAD®, BricsCAD®, GstarCAD®, IntelliCAD®, progeCAD®, ZwCAD®, ZwCAD+®, and others. BauTab.de is a small industry solution for making architectural, structural and civil drawings in 2D/3D with ZWCAD 2012 and ZWCAD+ 2012, 2014, 2015, ZWCAD Classic, ZWCAD 2017 and 2018. CADprofi Architectural - Parametric CAD-application facilitating architectural project design. BIMTech Tools jsou komplexním nástrojem pro návrh skladeb (včetně posouzení na kondenzaci par), import katastrálních map ČÚZK a CAD-detailů. From the CAD application it is possible to draw up all the plans necessary to develop the graphics and diagrams for better definition and understanding of the preventative measures defined in the Safety Report, with indication of the technical specifications necessary. Print2CAD 2015 is able to convert PDFs into a DWG or DXF file, which can then be imported into any CAD system where it can be edited. ArchiDim is a free ZWCAD+ -Addon that automatically reformats dimensions in order to fit specific requirements in architectural drawings in a very easy and comfortable manner. Last digits (e.g. mm) can automatically be superscripted and rounded to .5 ArchiDim ist ein kostenloses ZWCAD+ -Addon für Architekten, um in Bemaßungen automatisch Endziffern hoch zu stellen und auf 0, 5 architektonisch üblich zu runden. EZ-Plant provides real nursery plants, sizes and costs and is very easy for users to customize, no matter where a project is located, and with automatic text labeling, changes can be accommodated in seconds. 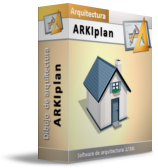 With ARKIplan you will develop a whole architectural project using your CAD software. It does not change your way of working in ZWCAD but it adds a lot of new tools and utilities which will be really useful for your designs. 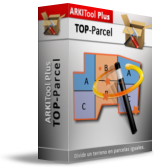 With TOP-Parcel you will easily split a field defined by an irregular polygon in so many parts with the same surface as you want. Every perimeter line is solved by TOP-Parcel, even if it has curved parts. ARKILider es un programa que funciona totalmente integrado dentro del programa ZWCAD y que permite verificar la exigencia de limitación de demanda energética (DB-HE1), establecida en el "Documento Básico de Habitabilidad y Energía del Código Técnico de la Edificación". 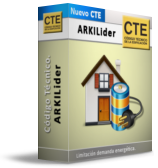 Realmente ARKILider no solo le va a permitir exportar el proyecto sino definirlo totalmente en su software CAD habitual para después, en el programa Líder, simplemente pinchar en el botón de "Calcular" para comprobar así su cumple la demanda energética de su proyecto. ARKILider resulta de sumo interés para Arquitectos e Ingenieros pues él mismo se encarga de transformar un proyecto desarrollado en ZWCAD en un formato que pueda ser leído por el programa Líder (Código Técnico de la Edificación), sin que haya necesidad de volver a definir el proyecto en dicho software. 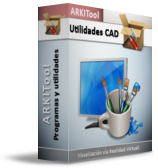 El entorno de trabajo del programa ARKILider es el mismo al que usted está acostumbrado, basándose además en el diseño 2D, evitando así que tenga que levantar el proyecto en 3D. Empower your experience with your CAD Software with more than 500 new and free utilities!And everything without changing your ZWCad appearance or configuration. Accordant provides an extremely powerful and flexible solution for Real Estate Management giving users control of their second most expensive asset (after their people!) It can be installed on a client's network or delivered from a 100% hosted/serviced environment (SaaS). CAD Drawings are registered with a central Web server which then publishes layouts to all users and can link people, assets and cost centres to locations. The people finder and space monitor apps can be published to all web users providing excellent feedback on current configurations and eliminating mistakes. 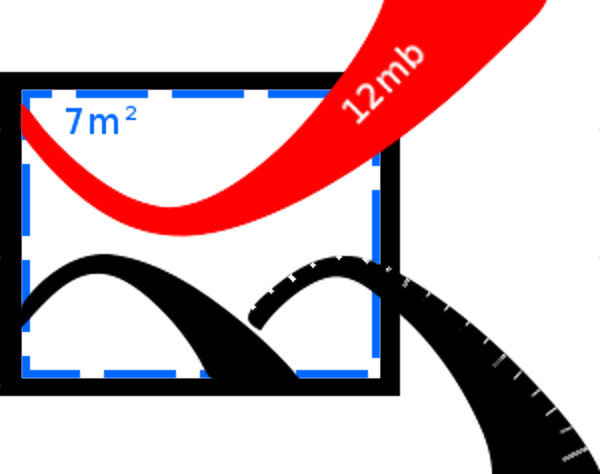 Accurate headcount and space figures can be obtained with (typically) one seventh of the effort and cost of competing systems. Comprehensive Moves and Space reporting modules manage change without needing constant CAD updates and manage space without having to draw lines around everything. Full drag and drop support for moves with barcode asset survey capabilities and full documentation generated automatically by the online PDF report generator. EDA Systems is an independent UK company providing software applications and services for companies requiring CAD and CAD related products.